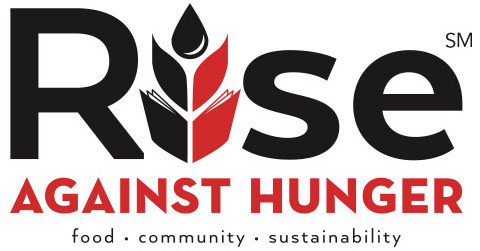 Sunday, March 10, 2019, from 11 a.m. - 1 p.m.
Join the movement to end hunger in our lifetime: MPC will host its 6th annual Rise Against Hunger* meal-packing event on Sunday, March 10 from 11 a.m. - 1 p.m. in the MPC Fellowship Hall. The MPC Mission Team has dedicated a portion of their 2019 budget to sponsor the minimum 10,000 meals required to host the event. We invite support from our congregation and the Manassas community so that we can provide even more. This is a great opportunity for the whole family. Last year's volunteers ranged in age from 3 to 90! Learn more abour Rise Against Hunger at RiseAgainstHunger.org. *Formerly known as "Stop Hunger Now." The Loving Hands Prayer Shawl Ministry is a group of MPC members and friends who gather to create knitted or crocheted shawls as gifts to those who have suffered a loss, are struggling with health or other issues, or are celebrating such events as marriages and baptisms. Meeting times are weekly on Thursdays from 10 a.m. - 2 p.m. in Room 40 of the church, if you are able to attend. All of the above tasks can also be performed from the comfort of your own home. The Mission Ministry Team at Manassas Presbyterian Church (MPC) represents the combined efforts of the entire congregation in responding to God’s call to help those in need. We witness God’s love in our community and the world by spreading the good news of the Gospel, reaching out to those in need, supporting self-sufficiency for all people and working for a just and peaceful world. We use the scripture of Matthew 25: 31-45 and the example of the Presbyterian Mission Agency to guide us in our choices for mission outreach. Additionally, the General Assembly of the Presbyterian Church (U.S.A.) calls our denomination to engage in the tasks of restoring creation, through the 1990 resolution “Restoring Creation for Ecology and Justice”.